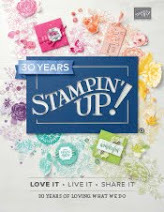 Today I have a sneak peek for you of a new stamp set coming January 4. It is a set that is designed to go with an amazing kit. The Birthday Bright Kit. I don't have the kit yet, but I do have the stamp set. So I thought I would make a card using it, as sometimes it is nice to see that the stamp set can be used independently of the kit. 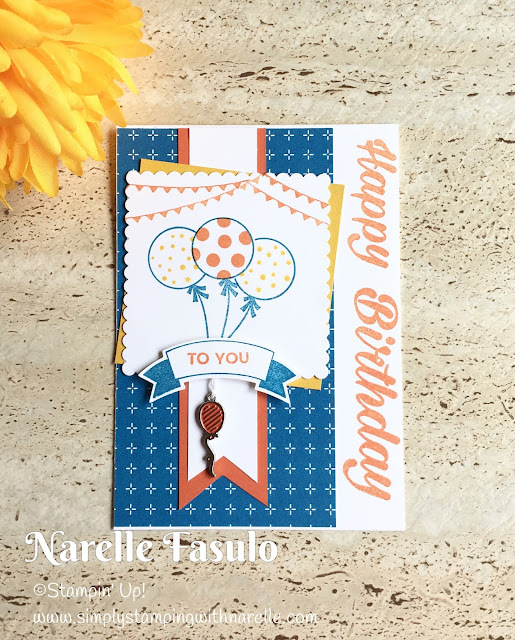 I can't show you the stamp set and the kit yet as we are not allowed to show the pages of the catalogue until it is released on January 4, but for now this is the card that I made. 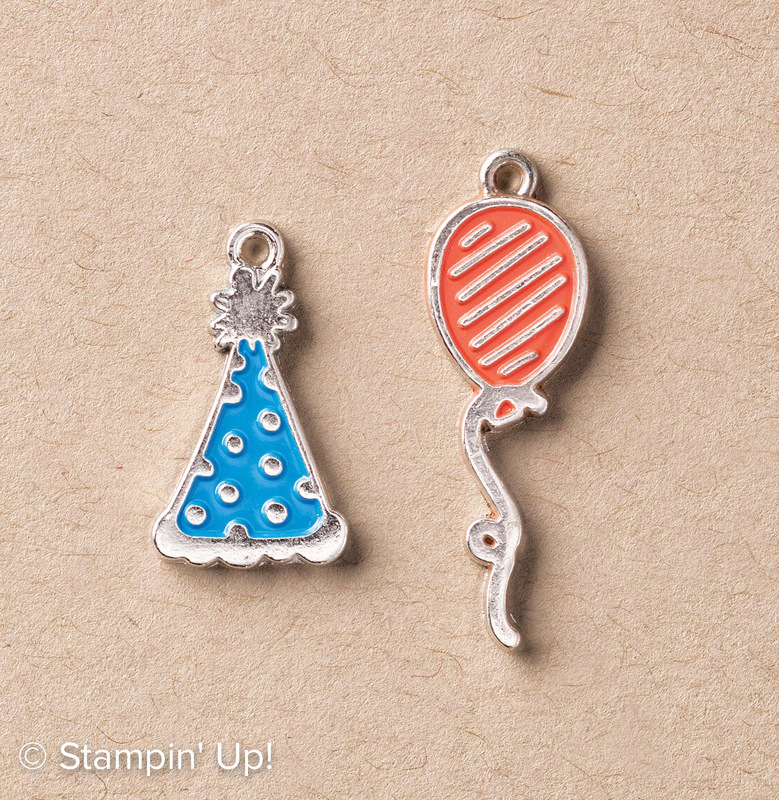 The stamp set has some wonderful greetings in it, including this big bold Happy Birthday. It also has that wonderful banner and another one as well which coordinates with the Bunch of Banners Framelits Dies. The balloons and flags also are a part of this great stamp set. There are two other sneak peeks on this card. One is the gorgeous card candy in that cute little enamel balloon hanging from the To You banner. This one of the Party Animal Embellishments. 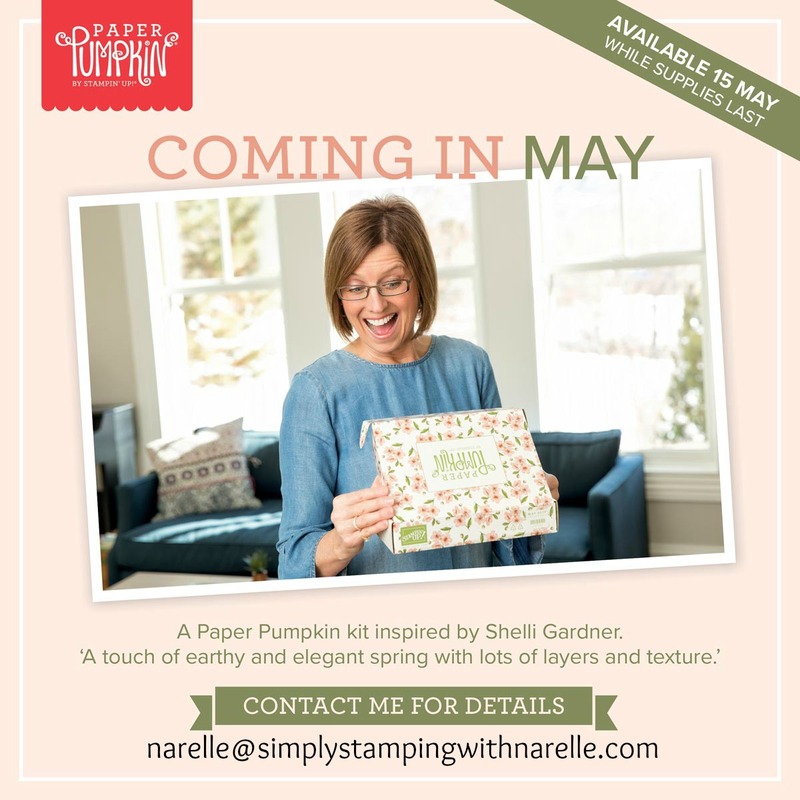 Luckily Stampin' Up! 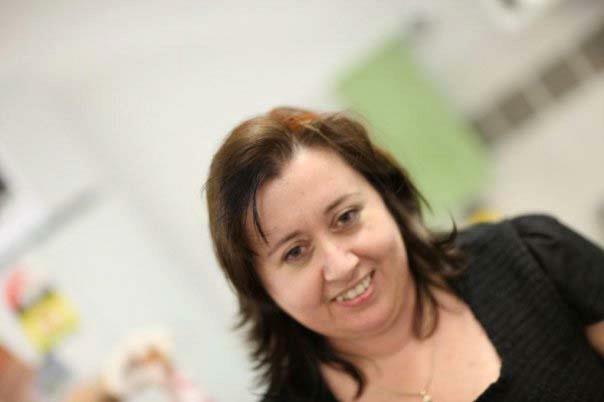 have provided us images of some of the product to share, so here is a closer look of these. 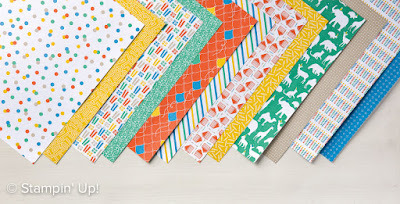 The other sneak peek is the Party Animal Designer Series Paper. This is a pack of fun and bright papers that suit all your birthday needs and more. Here is a closer look. There isn't long to wait till you can get all of this. The new Occasions Catalogue starts January 4. So make sure you have your wish list made out, all ready to go. Ordering is easy. 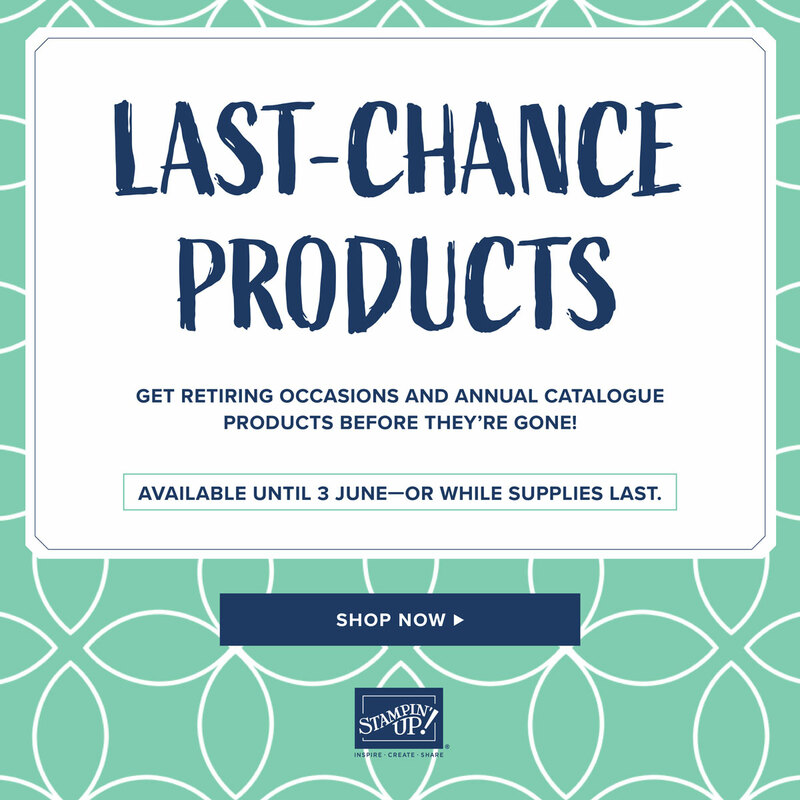 You can order through my online store, or you can email me, text me or call me. 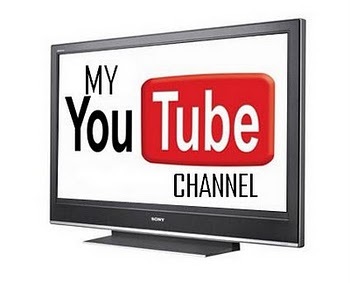 If you don't have my email or mobile number, just use the Contact Me form on the right and pop me a quick note so I can contact you. 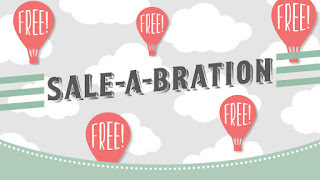 And remember that Sale-A-Bration starts on January 4 as well. 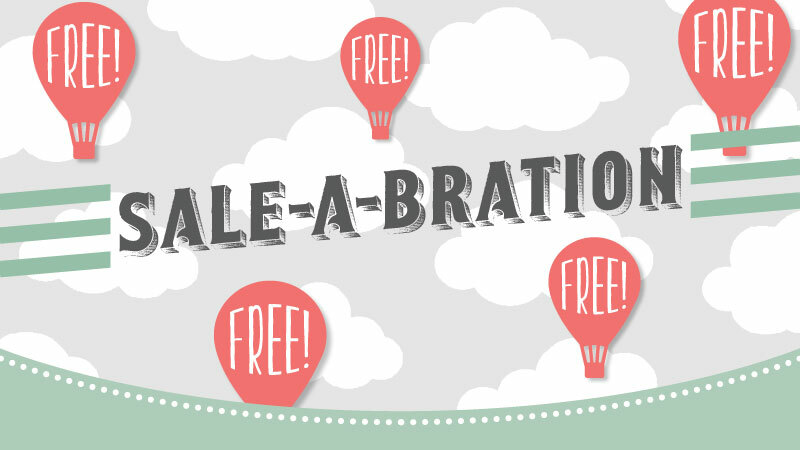 For every $90 you spend on product during Sale-A-Bration, you will get a FREE item from a select range.